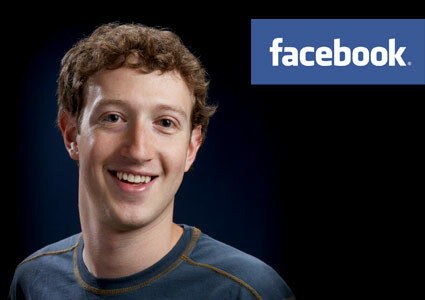 So its a Mark Zuckerberg's Birthday today. Let me count some Tens on Why Facebook (fb) is a great invention!!! 1. You get connected to the people you want. (even those you don't want! :P) Good connectivity is what matters!!! 2. You no more forget any birthdays and special events... Especially of the wives and girlfriends. Life has become less challenging! 3. You don't need to worry about your spouses' or children's affairs. Out of the habit of status updates and photo tags you can trace them anywhere!!! 4. Photos updates give you an idea what is missing in you own life to make it more exciting. As they say it "An idea can change your life...."
7. Your home business has a good number of clients without much investments on pamphlets/layouts etc. 8. Your mates are your critics/ fans/ listeners/ supporters, when before no one bothered to know your daily updates, you are now encouraged to pursue your Interests!!! 9. Because of Facebook, you have found long lost friends, relations etc. P.S. If you have any more, add on! Back in June, 2008, I wrote an article about rapid decline in female ratio: “Why more boys are being born to girls?”. That time, I studied much about the problem and thoroughly studied the cases, articles, statastics which were depressingly shocking. 2. Traditional Mindset of people for male child. Even the educated, wealthy and so called mordern mindset of urban people doesnt help them in offgaurding their desire for a male child. When today I saw Satyamev Jayate, everything from past that I studied about flashbacked before my eyes. I don’t know how this program will do. I don’t know how many of us who are into female foeticide will understand the problem and stop ourselves from murdering those upcoming lives. The case studies, which were presented were heart-tearing stories. We have to spread awareness as much as we can, killing a life inside us is not the solution to our desires. 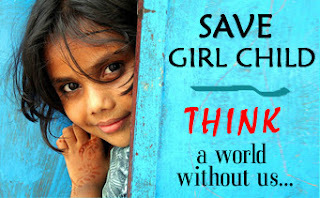 How can we become anti-girl child after being born to women, being a woman, having women as our sisters/mothers/friends/wives/beloved in our lives. 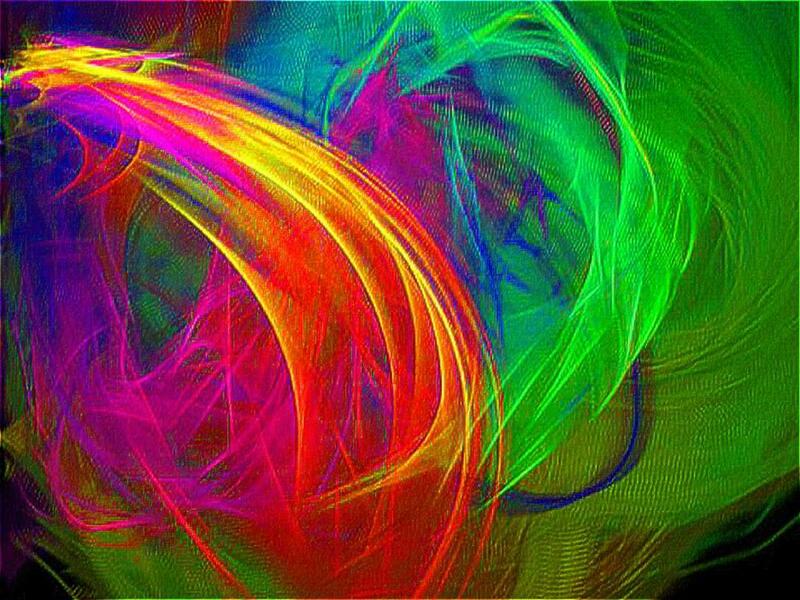 Nobody is God here to decide the fates of soon to be born lives on the basis of their gender. We should not forget that if the parents of our mothers decided the same long time back, the devils and vampires like us, living on the blood of girls wouldn’t have been born! I don’t need to present the same statestics, and studies which were presented in the program, I need to register my support for the cause. We don’t need any gender bais society, we just need children around us, who will giggle, laugh, play around, add beauty to the life and after growing up they’ll make this world more beautiful. Both blue and pink together add that bloom and charm to the world. Alone, its a monotony! We can pledge, we will never promote such a bias in and around our lives, we will try to cure this sickness of minds! A day when we'll realize our dreams, do what we want to. A day when somebody in a dire need for money will win a lottery; a guy at a beer bar will get a free beer; someone will get back one's love; the couple who have been working day and night will pay off all their bills; a man who has been saving for the day will enjoy all his savings; a critically ill guy will get well. A day when system will change, life will change; a day when we will fulfill all our responsibilities and live a free, untangled life or as some say a day when we all will die . Tomorrow is a day that no one has ever seen or been into, but we all fear, worry, plan, dream and live for it. I Don't know the name of this insect! Hit it during morning walk in the park before my home! Name it, if you know!!! Woah! 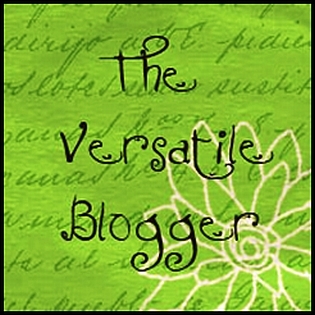 I got my first award, "The Versatile Blogger Award" from the fellow blogger Ritvik- Casacio! Well Ritvik, thanks a ton for the award. 2. Post a picture of the award on your blog. 4. 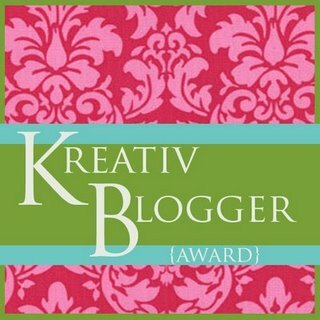 Choose 7 bloggers to pass the award to. 5. Inform them about it. 1. I Love to cook, it acts as a great stress buster for me. 2. I Love to travel a lot, and wish to keep exploring the new places throughout my life. 4. During my tours, I am not bothered about the rooms I will get, but the washrooms. I can live with bad rooms but washrooms are supposed to be good and beautiful!!! 5. Romantic comedies make my day.